The Bendix 5852 is direct a drop in replacement for any 6X5 tube type. Suitable for use in Hi-Fi and Guitar Amplifiers, this is the best sounding, best built 6X5 variant on the planet. The famous Bendix Red Bank vacuum tube factory made legendary tubes for military and aerospace applications. Their tubes were built to be the very best and were know to last many thousands of hours. These have rugged brown micanol bases, heavy glass, triple mica spacers and double D getters. Literally built to withstand the heavy g-forces of nuclear missiles, if you want the best, these are for you. 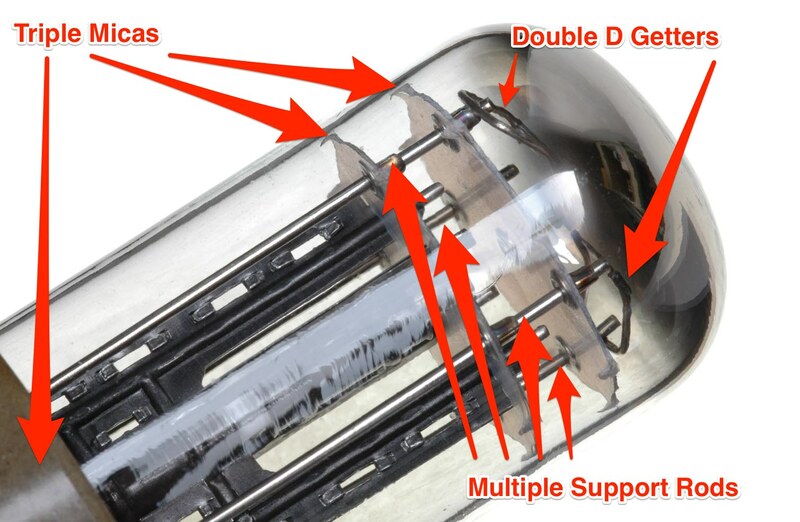 These tubes have the Double D Getters, 4 heavy support rods and Triple Micas. This tube is a really good upgrade from the original ,even good , Philips Jan 6x5 gt in my AN dac 3.1.